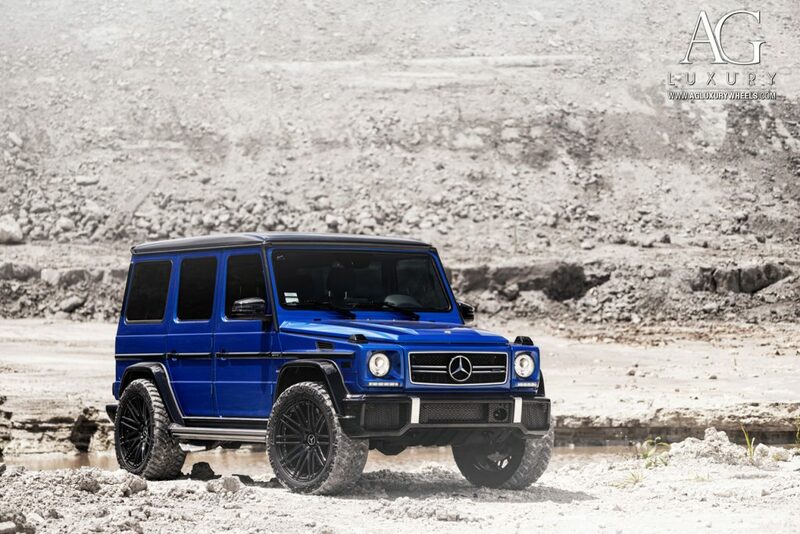 The Mercedes G-Wagen or Geländewagen is a thriving legend that is built like no other. 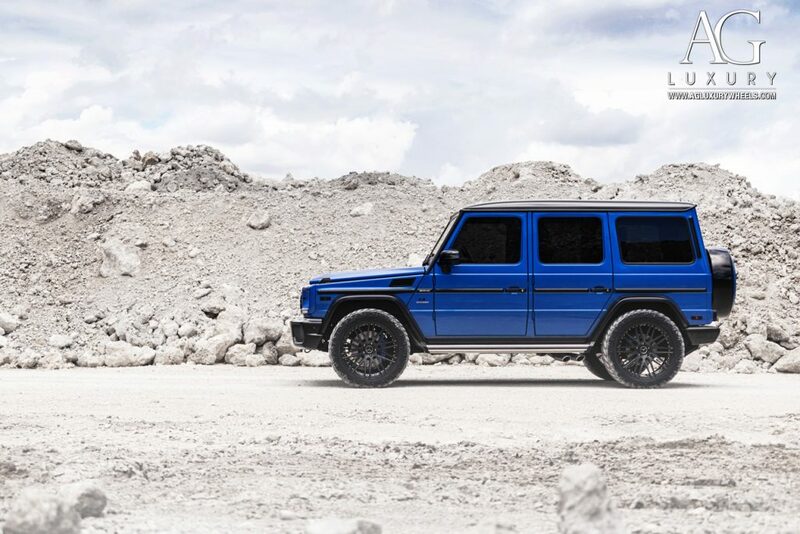 With a 38-year heritage, the G-Wagen has maintained its timeless upright and box-shaped design that is unmistakable and irresistible. With 2017 marking Mercedes-AMG’s 50th Anniversary, this particular Mercedes-Benz G63 AMG is a special one. Being a one-of-fifty example, this G63 AMG dons the spectacular Mauritius Blue paint finish boasts a striking appearance. 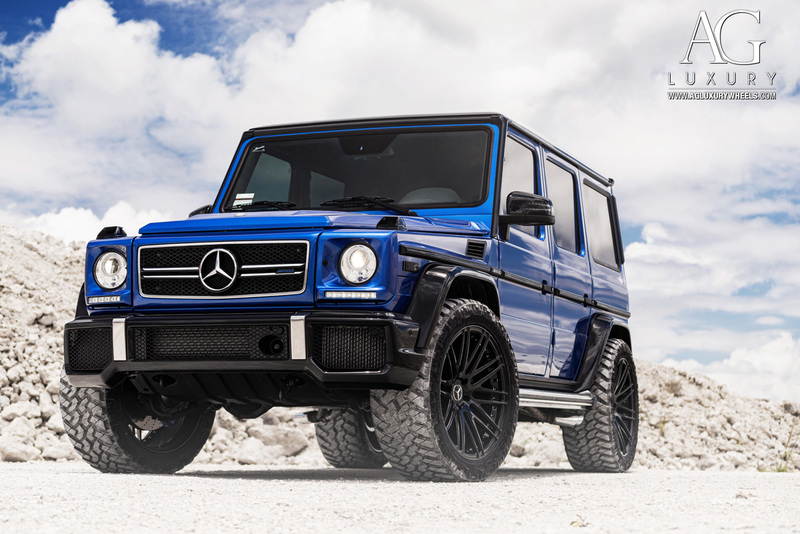 The blacked out accents found on the bumpers, fenders, roof and side mirrors complement MCCustoms Miami’s wheel selection that adds further sophistication and muscle to this vehicle. MCCustoms’ 50th Anniversary G63 AMG is outfitted with 22” AG Luxury AGL10 wheels custom coated in the classy gloss black finish. 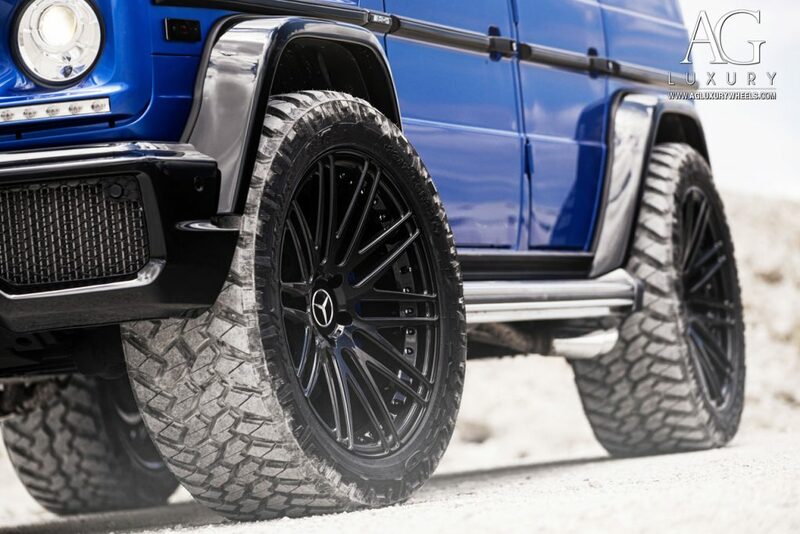 The 22×10.5 squared fitment on all four corners fills out the wheel arches entirely, while the 33×12.5R22 Nitto Trail Grapplers gives the G-Wagen an aggressive and imposing appearance that gives the vehicle the capability to traverse across Florida’s vast terrain. Featuring a split ten-spoke design, this particular AGL10 on the G63 AMG is set up in a dual block configuration to provide maximum concavity. The gloss black finish of the wheels flows with all of the black detailing seen throughout the various pieces of the vehicle, providing a luxurious yet stealthy appearance. The legacy of the G-Wagen continues to live on and thrive in this modern era of progressive and boundary pushing designs. Retaining the cross country heritage that this iconic vehicle possesses, it remains to be the most unique and unmistakable car in all of the seven continents of the world. 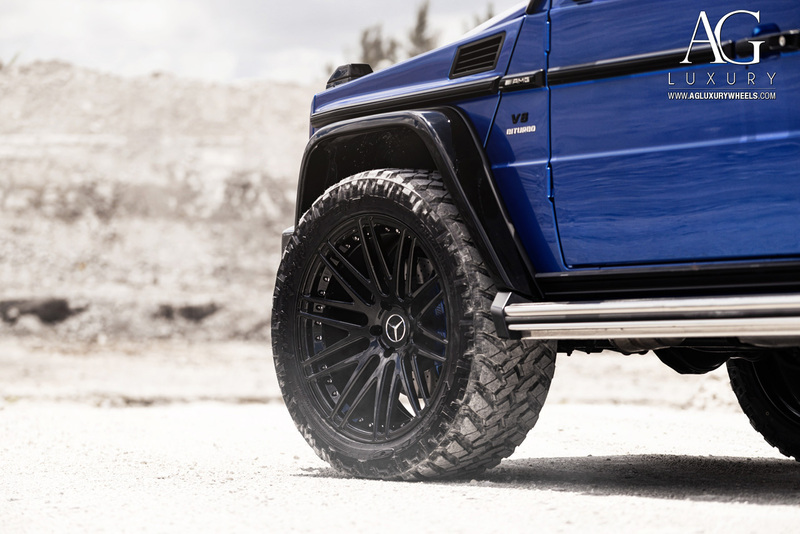 For more on this G63 AMG on the AG Luxury AGL10 wheels, visit @agluxurywheels and @mccustomsmiami.